facility, housing 550 people, but besides that, theatre performances and art exhibitions frequently take place in the old building. A specially written and composed mass is being celebrated every Sunday late at night (at 8 pm). A 5 piece rhythm section plus singers and actors perform the liturgy together with the ministers. The nave of the church has a height of 18 meters, and the audience sits partly in an amphi, partly on the floor and partly on the organ gallery. In the basement there is a 250 m2 exhibition room with an optional bar, which also might be used for parties and more intimate events. JAKOB is well equipped with a professional adjusted sound system with flexible loudspeakers and good light facilities which cover the main nave and the altar as a main stage area. Among the prides of the church are also the Steinway grand piano full concert version from 2000 and the digital Allan Church organ with 64 stops. 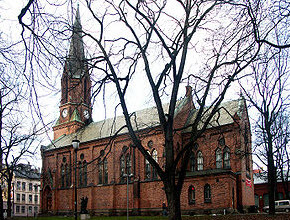 JAKOB Church of Culture cooperates with most of the important festivals of Oslo, and artists and promoters may rent the church for events and all sorts of performances. KKV who has its offices in the building also offers its own cultural program in the church with concerts, exhibitions and theatre plays. 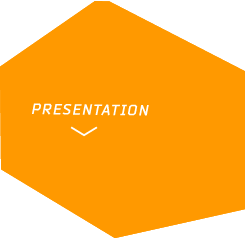 KKVs ambitions with the church is besides showing the ability of any church to become an arena for the arts, presenting a program where the key words are quality, heritage, renewal, dialogue and human liberation. 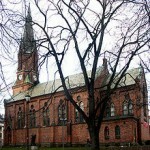 More than 200 days every year there is an arrangement in Jakob Church of Culture.